Greetings from Florida, the beautiful sunshine state. 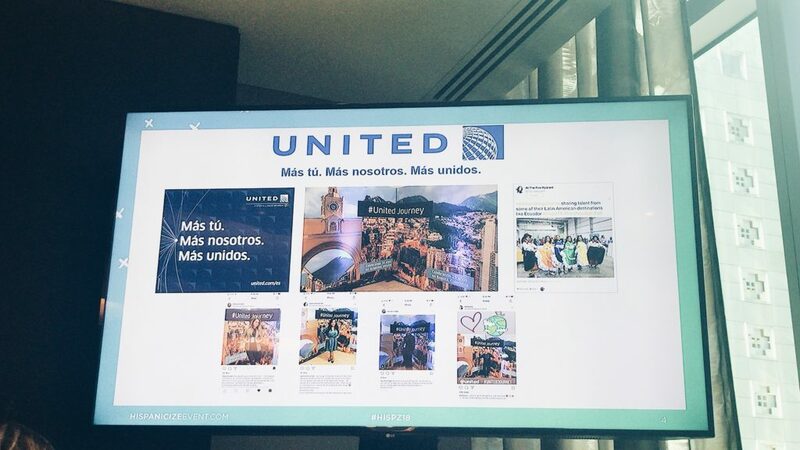 We had the opportunity to attend Hispanicize Miami 2018, and we were also nominated for a Tecla Award for best travel content creator. So you might be asking what is this event about? 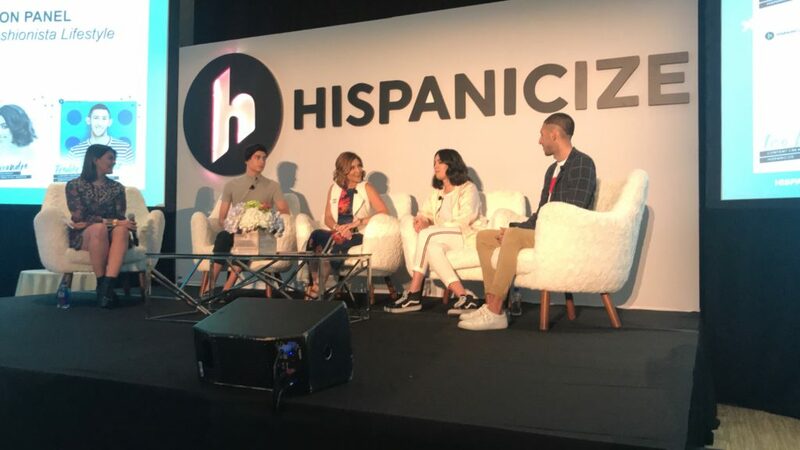 Hispanicize is the largest annual event for Latino trendsetters and news makers including digital content creation, marketing, journalism, entrepreneurship, entertainment and tech. It’s a must to attend if you are looking to grow in the latino market. 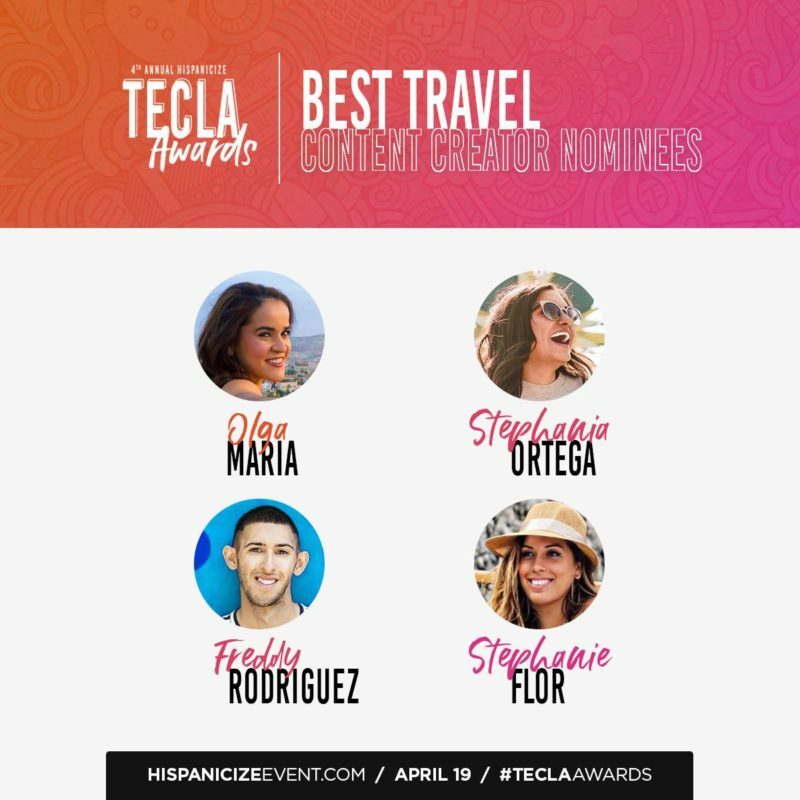 For us we were super excited to be highlighted during the Tecla awards for our travel content and even though we didn’t win the award just to be among the nominees was enough for us. We look forward to winning next time but read below of our awesome experience at Hispanicize. It was great being in a room full of dreamers and doers. At the arrival, we were given a badge with our name on it and the company we were representing. Disney was hosting a creators speed dating breakfast, and you know we navigated our way through there. We had 6 minutes to share our pitch with various companies that were at the breakfast, it was interesting to hear so many people share their stories and what their brands were about. There were so many informative panels. It was a bit challenging to attend all of them, but we attended a few, and met many individuals who traveled from different places to attend the event. Here are a few of the panels we attended. Creators showcase was presented by DiMe media which was all bout how to maintain your branding and aesthetic including different design tools and advice from speakers that work in the industry. Also you can be a content creator from wherever you are, no matter the location and use the tools you have. Live streams. Native Social Media Journalism focused on different companies that are using social media platforms to bring awareness to what is going around the world. People are not watching the news as much, they are tuning into Snapchat discovery to keep up with the latest news. Our second day was bit more relax, we had the time to network some more and attend a couple of other panels. Living the fashionista lifestyle had some influencers and bloggers that travel, and share their favorite outfits and products. Of course one of our favorites was the “will post for travel” panel presented by United Airlines. There were speakers from Israel Ministry of Tourism, Visit Philly, Travel Blogueras, Latinas who travel/Dreams in heels and Senior PR spokesman from United Airlines. They shared about their personal and professional anecdotes on traveling the world. How brands are investing on influencers, and what they look for. The panel ran over time because there was so much information, and questions that the attendees had. It was very interesting to hear different points of view from the speakers, and why traveling is so good for the soul. Hispanicize had a room full of brands giving away their products, and many giveaways. CVS had a nice station were there were giving free massages, and professional makeup artist re-touching peoples make up. 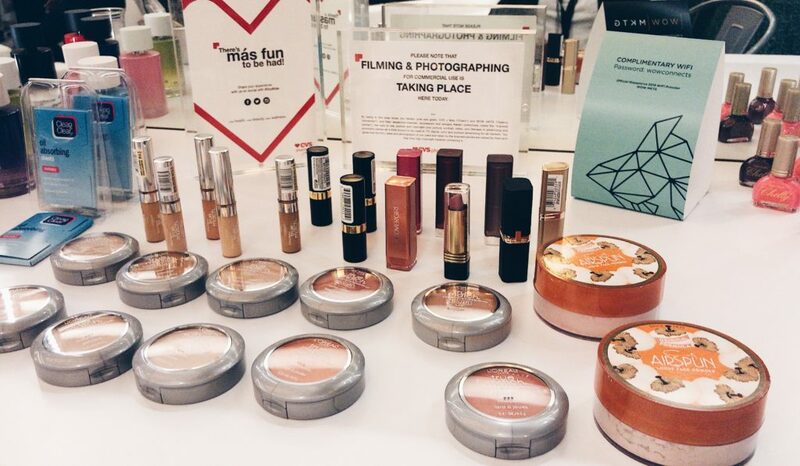 Of course we had to pass by and see what products they were using, and get our make up re-touched. 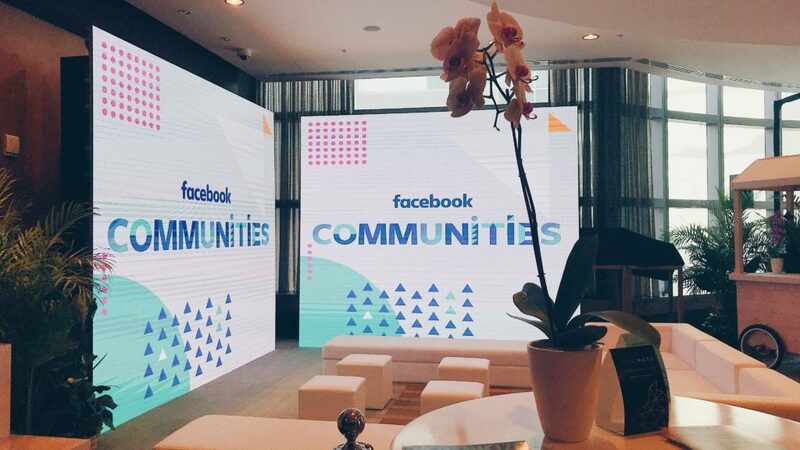 There were artist doing some live paintings, Facebook had a lounge where you could do a facebook live with other content creators, Prudential was sharing advise about finances for upcoming business, and tons of other stations full of snacks and photo booths for cool pictures. Special thank you to Hispanicize for the invite, the opportunity to network and learn among other latino creators. We highly advise you all travelers to attend this awesome event when you can, it is a great investment. Hope you enjoyed this post! Marketing Professionals shared their personal stories and advice from the state of the marketing industry, how to break into it and their adventures. Panel presented by United Airlines. There were speakers from Israel Ministry of Tourism, Visit Philly, Travel Blogueras, Latinas who travel/Dreams in heels and Senior PR spokesman from United Airlines.